First in the Air BP series. 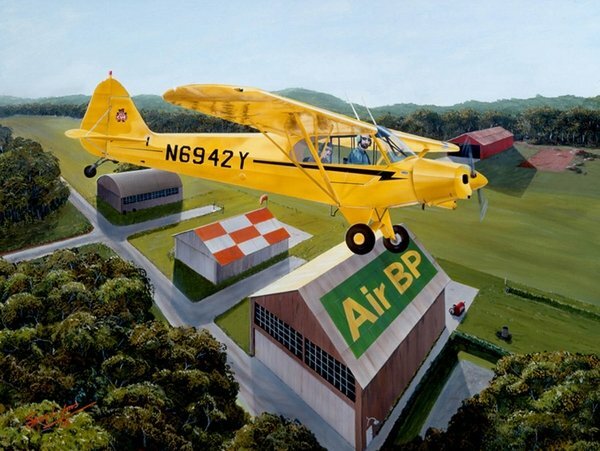 Yellow Super Cub flies over a grass air strip right in the middle of beautiful countryside! The 16″ x 22.5″ prints are available in Limited Edition sizes of 500 Signed & Numbered and 50 Artist Proofs.